Have you ever wondered what the Colorado Bureau of Investigation does? Susan Medina, the Communications Director for the Bureau, will present an overview of the CBI operations, from Investigations to the Lab to the comprehensive criminal justice information section. Susan is confident she has the coolest job in the universe as the spokesperson for the Bureau. Join us to learn the CBI’s story and bring any questions you might have about the CBI, law enforcement communications, and/or what it’s like to be a first responder to major school shootings. A native of Colorado, Susan Medina has worked in the law enforcement communications field for more than 20 years. Following an extensive career as the spokesperson with the Arvada Police Department, she joined the Colorado Bureau of Investigation in 2012. As the Communications Director for the Bureau, she addresses hundreds of media calls each year, along with oversite of the Bureau’s web and social media sites and internal communications. Her passion is to provide support to agents and local law enforcement in the field. She has responded to numerous major crime scenes during her career, including the shootings at Columbine and Platte Canyon high schools and the Youth With a Mission mass shooting. 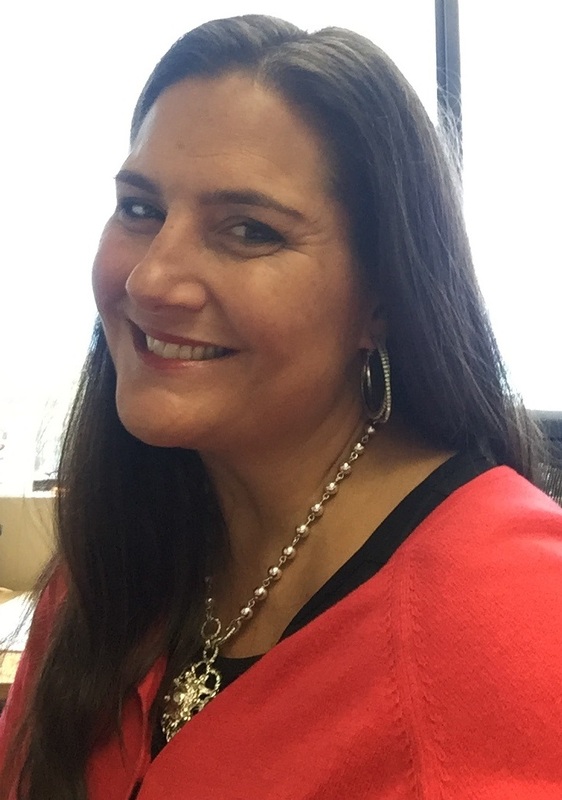 When she’s not in the office at CBI headquarters in Lakewood, or her “mobile” office at her kids’ baseball and softball games, she enjoys watching and playing sports. She makes a mean marinara and meatballs; she’s an alum of the University of Nebraska-Lincoln (Go Big Red! ), and she comes from a family of famous (or infamous) people from a stuntman for Hopalong Cassidy to the father of the television. This event is funded and presented by Sisters in Crime-Colorado and is not sponsored by Douglas County Libraries. For more information, please contact sinc.colorado@gmail.com. Catherine Dilts is excited to announce the release of her third Rock Shop Mystery, Stone Cold Blooded, and the first novel published by Encircle Publications. When rock shop owner Morgan Iverson’s reclusive neighbor is blown to bits, she doesn’t believe his violent demise was accidental. Her hunt for clues collides with an invasion of alien hunters, and the heated campaign for a small town city council seat. Adding to the stress, Adelaide the aging donkey has still not given birth to her foal. 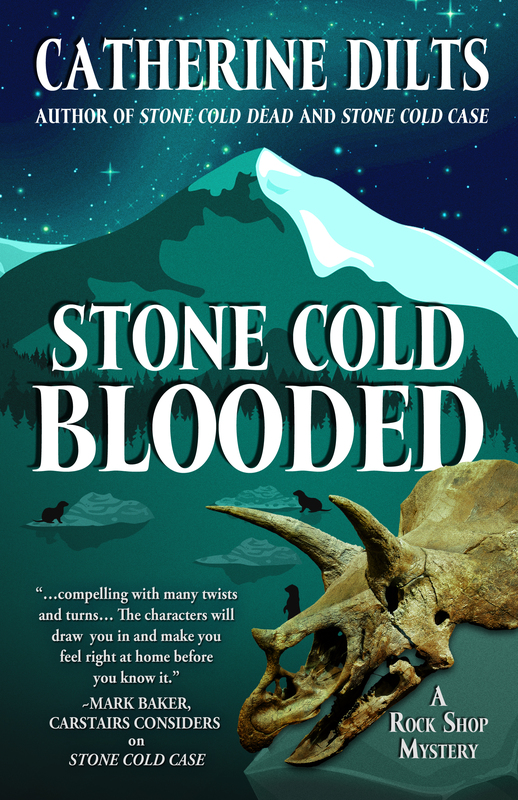 In this return to the small Colorado mountain town of Golden Springs, a Triceratops brow horn may hold the key to solving a prospector’s Stone Cold Blooded death.